Fees associated with filing industrial design applications in Sri Lanka, as well as other design fees, are available in the fee calculator. The industrial design application in Sri Lanka should be filed within six months from the priority date. The restoration of this term is not possible. Multiple design applications are not possible in Sri Lanka. 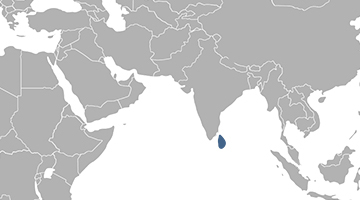 The total validity term of industrial design protection in Sri Lanka is 15 years. Simply signed and stamped Power of Attorney must be provided within three months from filing the industrial design application in Sri Lanka. If the applicant is not the designer, the application must be accompanied by the document justifying applicant’s right to obtain a registration. The industrial design patent in Sri Lanka is issued based on the results of the formal examination. There is no provision regarding the novelty grace period for design applications stipulated in the Sri Lankan legislation. The official grant fee is not stipulated. For obtainment of the total term of protection, the patent on industrial design shall be renewed every five years before six months from the expiration of 5-year term. Late payment may be effected within a grace period of six months alongside a corresponding surcharge. For foreign applicants, it is necessary to perform the Sri Lankan industrial design prosecution through an agent, a registered trademark attorney in Sri Lanka. Any composition of lines or colours of any three-dimensional forms whether or not associated with lines or colours that gives a special appearance to a product of industry or handicraft and that is capable of serving as a pattern for a product of industry or handicraft is registrable as an industrial design in Sri Lanka.